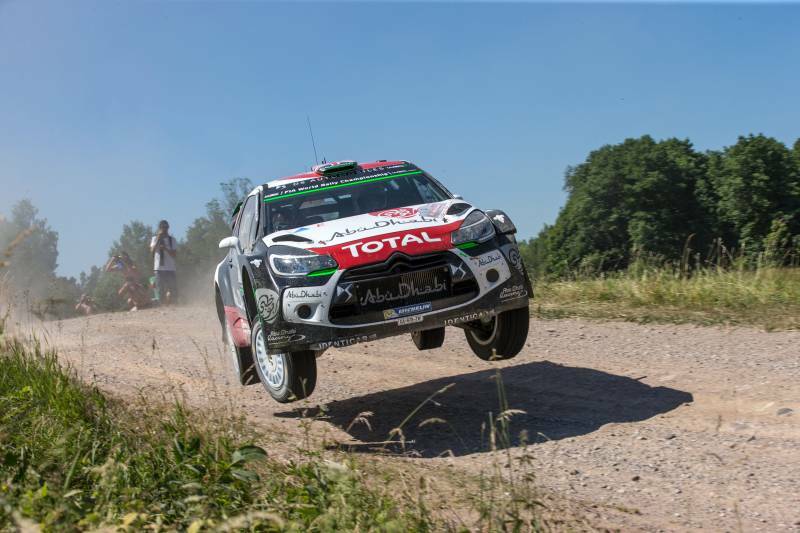 For the second day running in Poland, speeds on this latest round of the World Rally Championship were almost as high as yesterday with average speeds of close to 130kph on today's eight stages. Second in the running order, Mads Østberg had to sweep the road again this morning. Trailing Dani Sordo by 6.1 seconds after SS10, the Norwegian moved ahead of his rival on Swietajno (SS12) to grab ninth position, just behind his team-mate Kris Meeke. The Ulsterman was also gradually closing on Robert Kubica, who was running seventh. Hitting top speeds of around 191kph on occasion, Kris closed to within ten seconds of the local hero. Thanks to a good tyre choice for the second section, both crews made up ground, edging closer to Kubica. They have two stages left tomorrow before the end of the rally. In the FIA Junior WRC, Welshman Osian Pryce lost first position on the penultimate stage due to a misfiring engine. Forced to retire this morning, championship leader Quentin Gilbert was unable to take advantage. It was Italian Simone Tempestini who inherited the class lead and will start the final day over a minute ahead of Osian Pryce and the Finn Henri Haapamaki.